Use subtraction stories to build on prior knowledge when introducing taking away. Children already know a lot about subtraction through real life experiences even if they have never seen a take away sum. So rather than show the sum and discuss what it might mean, start with a scenario and build a sum. We started by singing the 5 little ducks song and discussed the idea of counting down to smaller numbers. 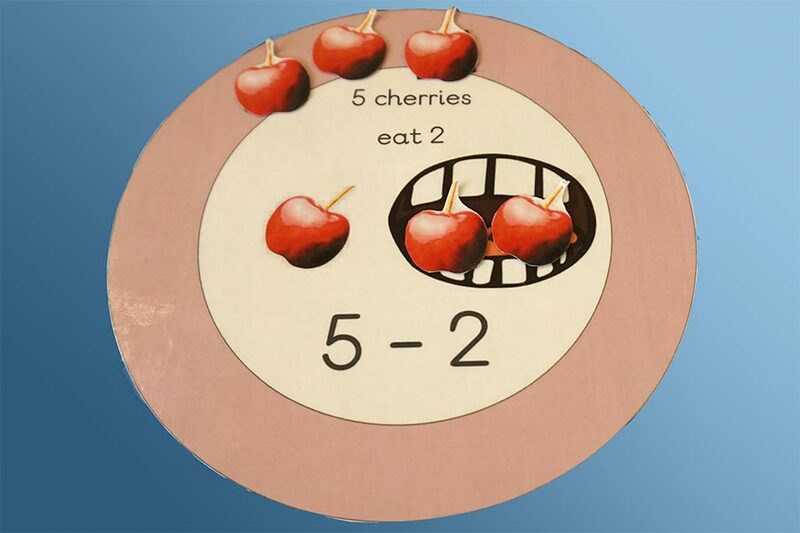 These ‘fruit plates’ made a good active station for children to discuss with an adult before they attempted an independent worksheet.